How does a property appraisal work? Once you submit an appraisal online one of our fully qualified real estate agents will review your property details and get back to you within 48 hours. Unlike many online appraisal services, Pennisi Real Estate appraisals are prepared by real agents in our Essendon office with appropriate qualifications and industry experience - not robots and software programs referring to outdated online databases. Who can request an appraisal? You must be the owner of the property to submit an appraisal request. Can I request a rental property appraisal? Yes, we offer both sales and rental appraisals. If you own a rental property and would like to have it appraised, complete this form and our team will happily appraise your rental to ensure you’re getting the best returns possible for your investment property. How will I receive my appraisal? You will receive your appraisal via email within 48 hours of applying online. Please remember to check your junk mail, and if you still haven’t received it within 2 days contact our team and we’ll be more than happy to chat to you about your appraisal over the phone, or visit you in person. What information will be in my appraisal? 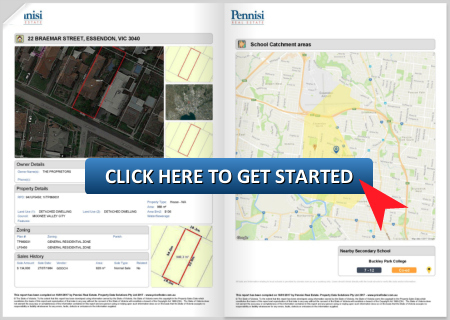 You will receive a list of similar properties to yours that have recently been sold or leased in your area. You will also receive data on auction results, how to sell for the best price and general price trends. What happens after I receive my appraisal? If you have any questions after reviewing your appraisal, you can request a free in-home consultation with the agent who prepared your report. We’ll visit your home to answer all your questions and offer qualified, no obligation advice on the sale of your home. "Andrew made a very fair estimate of the value of our unit. This resulted in obtaining offers that we were pleased with and able to make an early acceptance." "From my initial meeting right through to sale, their advice and direction was professional, friendly and prompt."